Magnolia Window & Door Company represents more than 50 Years of quality products and services. We install replacement windows, sliding patio doors, vinyl siding, fiber cement siding, sunrooms, decks, and gutters for homeowners in Knoxville, TN and surrounding cities. We offer quality vinyl windows in a variety of designs from classic single & double-hung windows, to sleek sliding windows, beautiful specialty shape and picture windows, casement windows, bay windows, and more. Our versatile collection of elegant woodgrain finishes and classic hues will inspire refreshing design options to beautifully complement your home. We offer a peace-of-mind that's hard to find in the home improvement industry by covering each project with a REAL Lifetime Warranty. Magnolia Window & Door Company also provides quality products and precision workmanship for all your siding installation needs. We are partnered with Woodsman Select, Exteria Building Products, and CertainTeed to bring you vinyl siding and fiber cement siding options with industry-leading product warranties. When designing your new or renovated home, there are many things to consider. but your home's exterior - specifically its curb appeal - undoubtedly make the biggest, most immediate visual and resale impact. 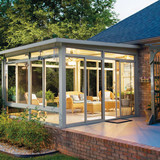 Magnolia Window & Door Company can help you bring the beauty of the outside into a new Sunroom for your home. Our Sunrooms are constructed to the toughest codes for wind and water penetration. This ensures you will be safe, comfortable and never exposed to the outdoor elements. It also means a lifetime of peaceful enjoyment. Meeting and exceeding our clients expectations is the primary reason we are the only home-improvement company in the Southeast to win Angie's List Super Service Awards in THREE different categories. That's right, one for Windows, Siding and our beautiful Engineered Sunrooms. Whether you are looking to replace your windows, replace your siding, add a sunroom, install a new gutter system, or build a new deck....let us show you the Magnolia Window & Door Company difference! Real Prices. Real Value. Real Affordable. Call us today at (865) 684-5807 to set up a free consultation! Business Address: 7035 Oak Ridge Hwy Knoxville, TN 37931 Showroom hours are by appointment only. Welcome to Renewal by Andersen of Knoxville For quality windows in Knoxville and the surrounding areas, turn to Renewal by Andersen® of Knoxville, your exclusive local Renewal by Andersen representative. We offer a wide selection of durable, energy efficient replacement windows and doors, tailoring each project to the individual needs of the homeowner. 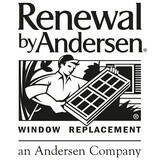 Renewal by Andersen has replaced more than two million windows. You can count on us to do the job right with a respectful approach and professionalism you’d expect from an industry leader. Dedicated, Responsive Service When you turn to us for replacement windows or doors in Knoxville or any of the surrounding cities and towns, our experienced design consultants will work closely with you to ensure that you receive precisely the project that you envisioned. Beginning with a free, in-home consultation, we’ll walk you through every step of our window and door replacement process. This open communication eliminates errors and helps us to finish every project on time and on budget. Top of the Line Replacement Windows & Doors As an exclusive Renewal by Andersen representative, we are able to offer their full selection of both traditional and specialty replacement windows. We also offer a selection of Andersen patio doors. We understand that each homeowner has a unique sense of style and a unique set of needs, and that is why we provide so many high quality options. Deep Warranties Renewal by Andersen offers one of the strongest window and door replacement limited warranties you will ever find. * These warranties only apply when you choose window or door replacement from a certified representative like Renewal by Andersen of Knoxville. Your windows and doors will be covered when you work with us. To learn more about our outstanding products and services, browse through the rest of our website. KEITH WINDOW COMPANY is a family owned business with over 35 years experience in the window and door industry. 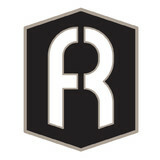 Our goal at Keith Window Company has been to provide our customers with a true "Full Service" window and door company. Trust in Keith Window Company for all your window and door needs, as well as glass, mirrors, screens and hard to find parts. Let our knowledge and expertise save you time and money on your most important investment, your home. *Authorized Dealer of Andersen Windows & Doors* Hiwassee Builder’s Supply was founded by Mr. & Mrs. George Clark in January 1958. Our first store was located downtown on the square in Athens, with our lumber yard located by the NS tracks .A new store was built on Decatur Pike in 1972 and expanded several times adding warehouse space, a storefront glass shop and truss manufacturing facility.Our primary service area is southeast Tennessee.Our purchasing power is enhanced by the membership in Lumbermens Merchandising Corp. a 1200+ member cooperative across the USA. 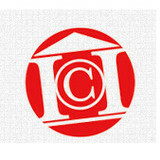 We have grown with our community and the surrounding area adding products and services and dedicated staff. In 2007, we opened Hiwassee Window and Door in Knoxville TN off of Lovell Rd With a focus on high-quality millwork, we serve the Knoxville area with outstanding service before, after and during the sale. We feature Andersen and Marvin window and door brands. In 2010 we opened our third location in downtown Chattanooga TN at the corner of S Hickory St and E 23rd St with a focus on engineered lumber, manufactured roof and floor trusses, and pre made walls. 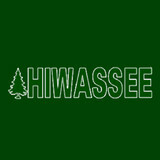 Hiwassee Structural Products offers a staff of engineered wood products designer and technical sales with over a combined 100 years of experience in the industry willing to help with any size project. Our 57,000 square foot warehouse keeps our pine lumber inside prior to being manufactured. We utilize Mitek design software and feature cnc cutting and automated jigging for optimum accuracy and efficiency of work flow. We are an authorized Starmark cabinetry dealer. We can design kitchens for any budget . Most recently we have established Hiwassee Storefront Systems , a glass installation division for both commercial and residential projects. Custom and Personalized glass etching...Gift Items: wedding gift, toasting flutes, flutes, personalized flutes, wine glass, bar-ware, decanter, glasses, glassware, trophy, award and recognition; Promotional Items: promotion items, glass office items and desk accessories. Custom and Personalized Glass Etching - home decor: windows, mirror, door, side-lite, side-lights, entry door, glass door, bathroom window; window signage....Specialize in ON-SITE ETCHING for large area/surface glass. Manning Windows is Knoxville, Sevierville, and East Tennessee’s best source for high quality, reasonably priced vinyl replacement windows and doors. If it’s time to look at replacing your home’s windows, it’s time to have a talk with the folks at Manning Windows. Our sales team has over 50 years combined experience and we will walk with you throughout the entire process. The installation team has been installing windows for over 40 years combined. Call us today to discuss your next project! There are lots of window replacement companies in Knoxville that will give you the spin and charge you more than you have to pay. We believe you are smarter than that. You deserve straight talk. You deserve up front pricing. That’s exactly what you’ll get at The Window Source. For quality windows in Knoxville and the surrounding areas, turn to Renewal by Andersen of Knoxville, you exclusive local Renewal by Andersen representative. We offer a wide selection of durable, energy efficient replacement windows and doors, tailoring each project to the individual needs of the homeowner. PCA Products is an established manufacturer of handcrafted aluminum screen doors, engineered to withstand the rigors of everyday use. We manufacture over 60 different designs in five powder coated finishes to complement most any architectural style. Whether you’re building a new Knoxville home, remodeling an old one or just replacing a few windows that are past their prime, your window dealer in Knoxville, TN will help you pick the right windows for your needs, home style and budget. Windows come in so many sizes and types that expert advice and direction is invaluable in helping you make the best decision. These pros can also help you with custom window designs that complement your space better than something ready-made. Lastly, if you are interested in doors with windows, these experts are also knowledgeable about sliding doors, French doors and other paned portals. Your window pro might work closely with other Tennessee builders and remodelers as well. Here are some related professionals and vendors to complement the work of window sales & installation: Window Treatments, General Contractors, Home Builders, Specialty Contractors, Siding & Exteriors. Find a window dealer on Houzz. Narrow your search in the Professionals section of the website to Knoxville, TN window dealers. You can also look through Knoxville, TN photos to find examples of windows that you like, then contact the window professional who worked on them.